For a lot of people, traveling in December means stuffing too many Christmas presents into a too-small suitcase and braving the airport masses to spend the holidays at home. But once in a while, we need a year off from the family chaos and opt to spend the holidays in some far-flung location. For those times, the world offers a litany of destinations where you can relax on a beach, bask in colorful Christmas lights, or trek through the snow to see the aurora borealis. So if you’re not going home for the holidays, or you’re looking for somewhere to go earlier in the month before the holiday madness sets in, here are the 10 best places to travel in December. When people think about world-renowned, glamorous beach locales, Uruguay isn’t at top of that list. 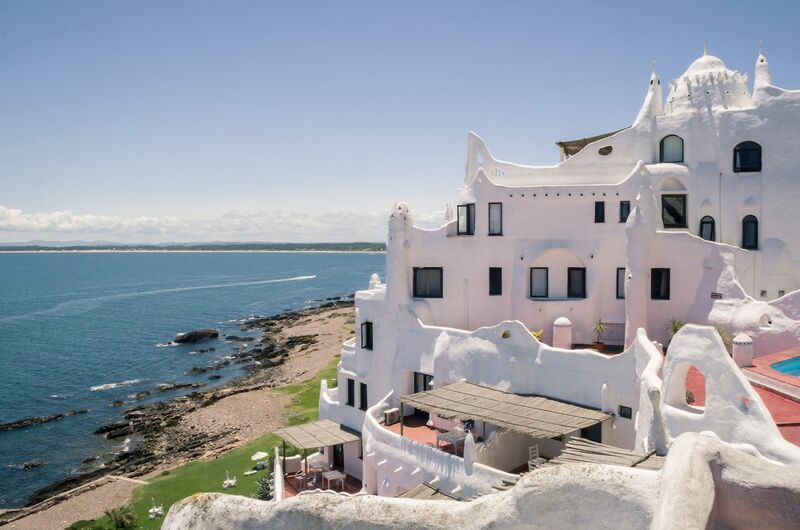 But in December, the beautiful people of South America flock to the shores of Punta Del Este, sipping rose and packing the tables of Parador La Huella. If that’s just too scene-y, head to the hippie beach town of José Ignacio where little beach shacks serve cheap beer and the surfing is pretty respectable. But you’ll never find sand-packing crowds on Uruguayan beaches since Americans and Europeans haven’t quite discovered it yet. So best to go now before they do. 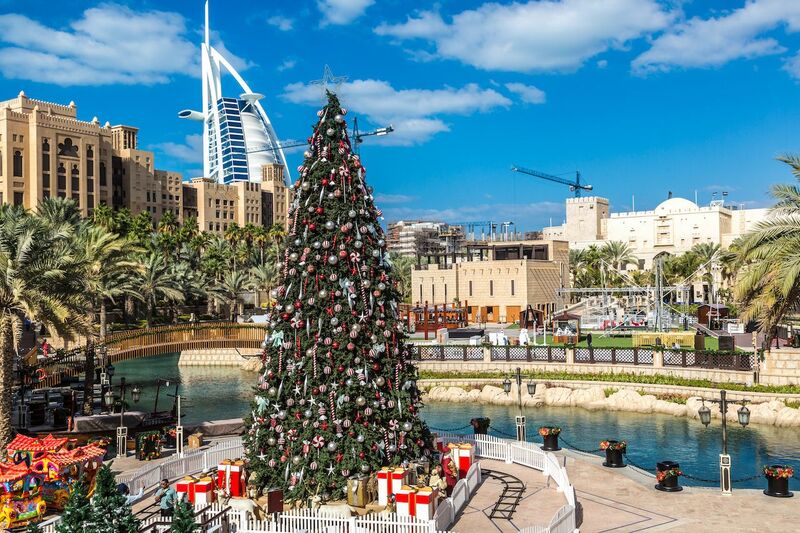 Christmas in Dubai? Sure, why not. The city is the most cosmopolitan in the Middle East, and if you’re looking for a far-flung location that still has comforts of home, Dubai is the ideal destination. December kicks off with UAE National Day on the 2nd when the streets will be filled with carnivals and parades, and the skies alight with air shows and fireworks. Throughout the month, you’ll enjoy some of the coolest temperatures of the year and see Christmas trees that make Rockefeller Center’s look like Charlie Brown’s. From December 6 to the 18, you can also experience one of the largest urban art festivals in the world at Urban Sole before closing out the year with New Year’s Eve and fireworks around the Burj Khalifa. 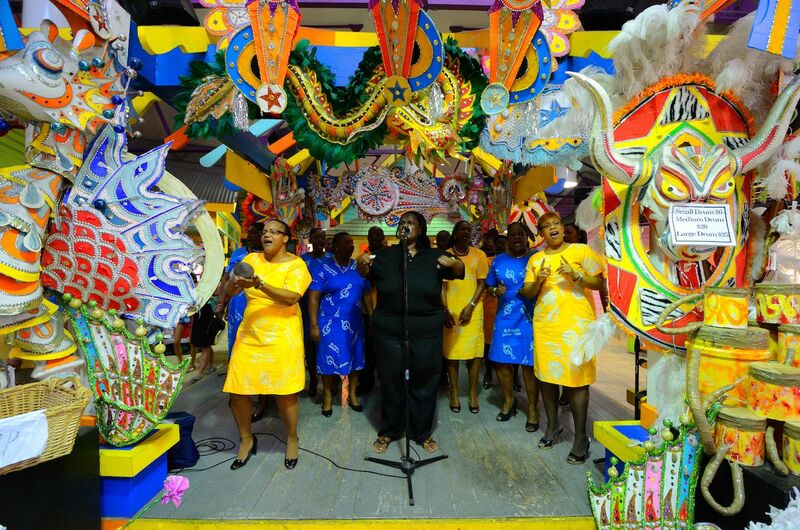 Though pretty much any Caribbean island is perfect in December, this month brings Nassau’s best party of the year, the annual Bahamian Carnival called Junkanoo. All month long you’ll find colorful parades in the streets, where the smell of frying conch fritters is accompanied by drums, bells, singing, and dancing. The initial crush of visitors to the Baha Mar resort, which opened last year, has subsided a bit. So if you want to check out the new SLS or Grand Hyatt, you’ll find it a little easier to get into restaurants like Katsuya, Fi’lia, and Cleo. And if you can catch the islands in the sweet spot right before Christmas, you’ll find smaller crowds that you will later in winter. The tricky thing about seeing the northern lights is that it involves going to cold, dark places during the coldest, darkest months. Some choose Iceland for the aurora borealis trek — and by “some,” we mean pretty much everyone on your Instagram feed. Finland, on the other hand, doesn’t even come close the number of tourists flooding Iceland. It’s an Arctic paradise of jagged mountains, snow-covered forests, and the indigenous Sami people. 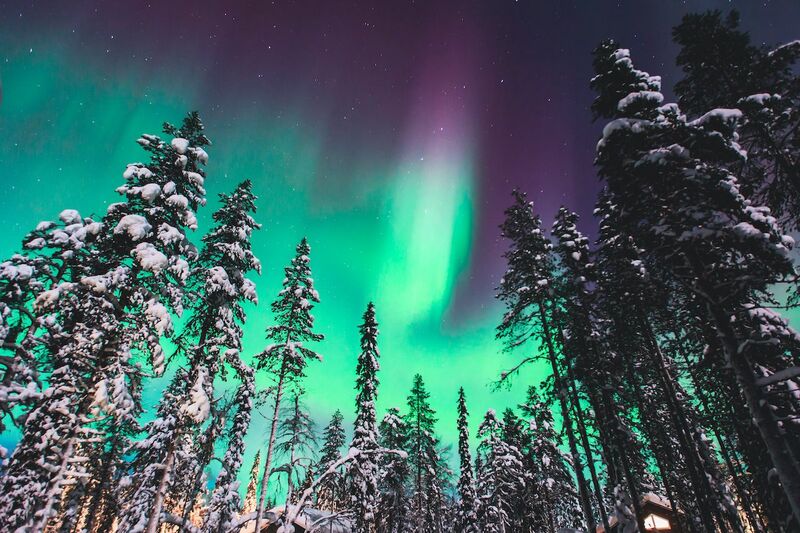 Though there’s never a guarantee you’ll see the northern lights, Intrepid Travel offers a tour that’ll ensure you have a memorable trip even if you don’t. It includes getting pulled on the back of a dog sled, eating dinner in a local family’s home, and hiking through the white wilderness. Aurora sightings are most common during these shortest days of the year, so if you’re okay with only a few hours of daylight, Finland in December can be the best place in the world. Plus, Finland is home to Santa’s official North Pole address, so if you’ve ever dreamed of working as a Christmas Elf, good news: They’re hiring. Just to save you the hassle of opening up a new Google tab, the Cook Islands are 15 islands in the South Pacific, northeast of New Zealand between American Samoa and French Polynesia. It’s one of the most untouched island chains in the tropical South Pacific, and in December, it’s a calmer and cheaper, albeit further, option than Hawaii. 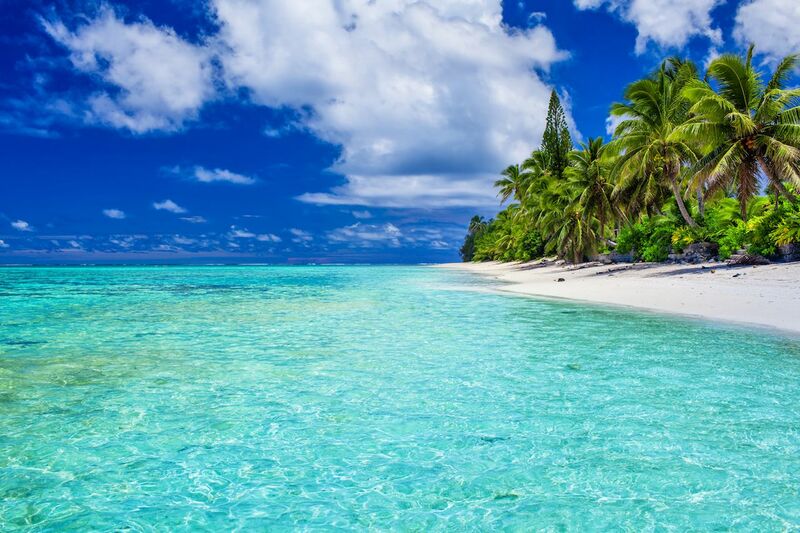 A 10-hour nonstop flight from Los Angeles brings you to the pristine, coconut-palm-lined beaches of Rarotonga, and if you’re looking to get away for a couple of weeks, you can do it alarmingly affordably here. For example, Goway Travel offers a 12-night itinerary with round-trip airfare from LAX and hotels for $1,899 per person. And for those looking for a more luxurious experience, GOGO Vacations offers a five-night stay at the five-star Te Manava luxury spa with a snorkeling cruise for $2,095. In America, our version of a “Christmas market” is usually the local mall decked out with some bows of holly and a slightly suspect looking Santa Claus. In Europe, they do it a little better with entire marketplaces packed with fir trees, bright lights, and little kiosks selling all varieties of wintry wonders. 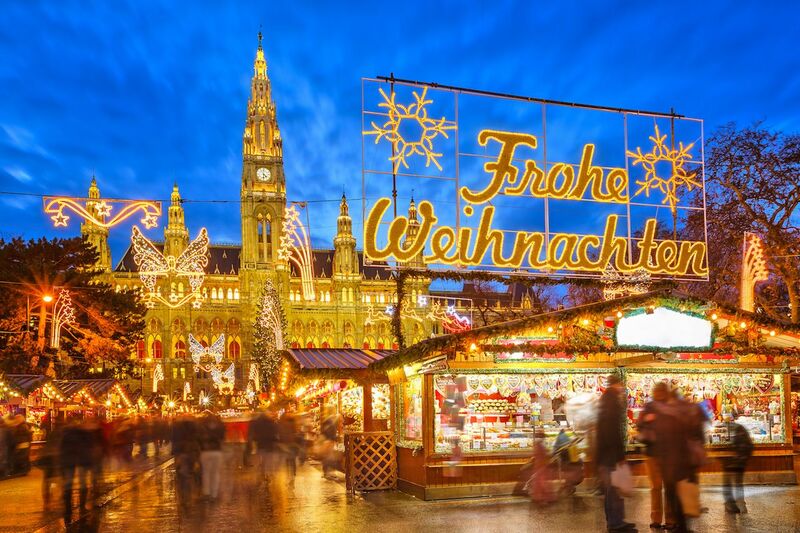 Perhaps Europe’s finest is in Vienna, right in front of city hall, where 150 vendors crowd around an ice rink selling high-octane Christmas punch, sausages, and sweet desserts. Kids ride reindeer, and there’s even a chance to try curling if this year’s Olympics inspired you. If you want to make the most of your Viennese vacation, you can take a couple of train trips through Central Europe that run through Vienna at peak times. Vacations by Rail’s tour of Christmas markets will take you through Nuremberg and Munich in Germany before stopping in Salzburg and Vienna, so you can judge for yourself who has the best Christmas markets. Or you can opt for the grand opera opulence of New Year’s Eve in Vienna, where the Golden Eagle Danube Express takes you through four countries in nine days before ending 2018 in the Austrian capital. In case you had any lingering questions, the Florida Keys are back. 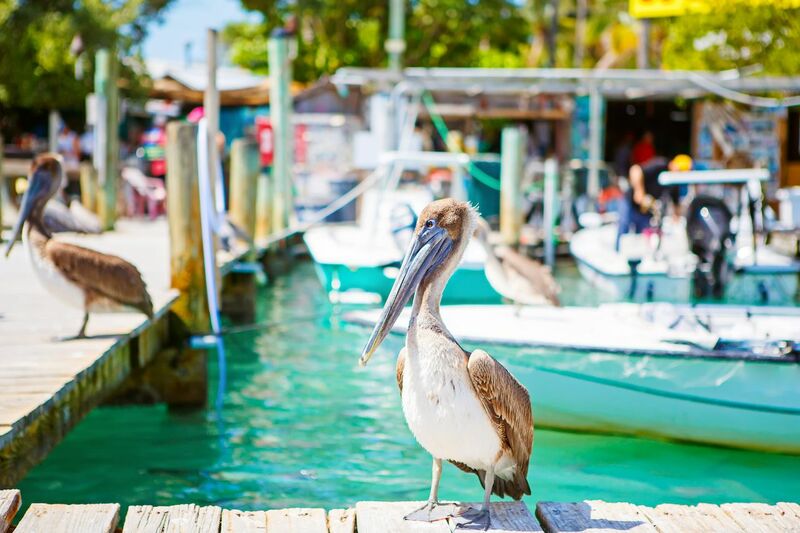 And December is the ideal time to visit this quirky little island that’s like a little slice of New Orleans at the end of the Overseas Highway. The weather in the Keys is perfect in December, and you’ll find the sands at Ft. Zachary Taylor State Park and Smathers Beach pleasantly empty most of the month. The bars along Duval Street won’t have lines to get in as they might in springtime, and you can walk around at night without breaking a sweat — though it might be a little too chilly to bare it all at the clothing-optional rooftop bar at Garden of Eden. A Christmas Carol did off-season London tourism no favors, painting the portrait of an icy, grey, frigid December city. 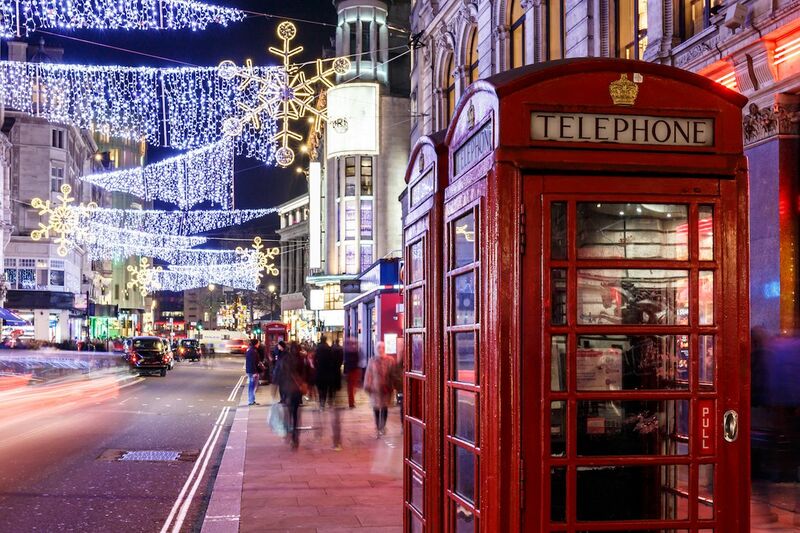 Granted, we wouldn’t recommend coming here for the weather, but flights are cheap, crowds are down, and London is full of colorful Christmas markets and events. Hyde Park’s Winter Wonderland is the city’s signature winter carnival, complete with ice skating, roller coasters, street food stalls, festive bars, and live music. December will also bring one of the cooler pop-culture art exhibits to open this year in Good Grief, Charlie Brown!, during which contemporary artists showcase their twists and inspirations on the classic Peanuts cartoon at the Somerset House. You can also warm up with some delicious dim sum at the new Din Tai Fung, whose Hong Kong original earned itself a Michelin Star. 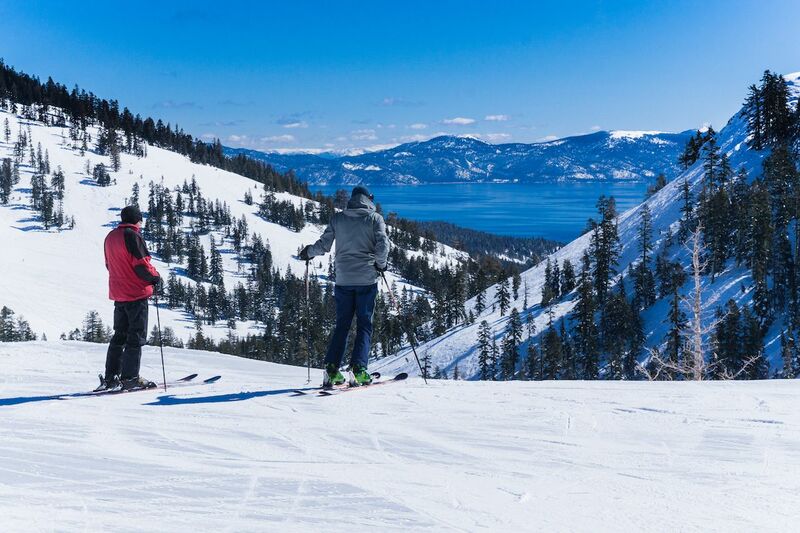 West coast skiing doesn’t get much better than Tahoe, and when the snow is good, hitting the slopes during the first big ski weekends of the year at Heavenly is probably the best party in Northern California. That party carries over into the casinos and nightclubs across the state line in Nevada, creating a cold-weather Las Vegas. Though non-partiers will also love December in Tahoe, which has some of the best skiing in the world at spots like Squaw Valley and Northstar. December is also when Tahoe hosts the annual Snowglobe Music Festival, the largest outdoor New Year’s music festival in America. Its eighth instalment runs from December 29th to January 1st and will feature Above and Beyond, Sofi Tucker, Big Gigantic, Eric Prydz, and other A-list electronic acts this year. All of New Zealand is spectacular during its summer, but hitting the windblown city of Wellington on the southern tip of the North Island will have you in town during its sunniest days of the year. In addition to the relatively warm weather, Wellington is also full of festivals, Christmas celebrations, and art exhibits. December 2nd brings the Thorndon Fair, during which 20,000 people crowd the streets to eat food and look at art from over 250 vendors from around the country. You can also visit the Terracotta Warriors: Guardians of Immortality exhibit at Museum Te Papa, where eight 2,300-year-old terracotta warrior statues and 160 ancient Chinese art pieces will be on display. And right across the street, the QT Hotel will have local artists using 25 of its rooms as their own personal canvases, showcasing everything from street art to Maori culture in rooms you can rent through the end of the month. Catch the Interislander ferry to Picton in the North Island, where you can hop on the newly reopened Coastal Pacific Railway. 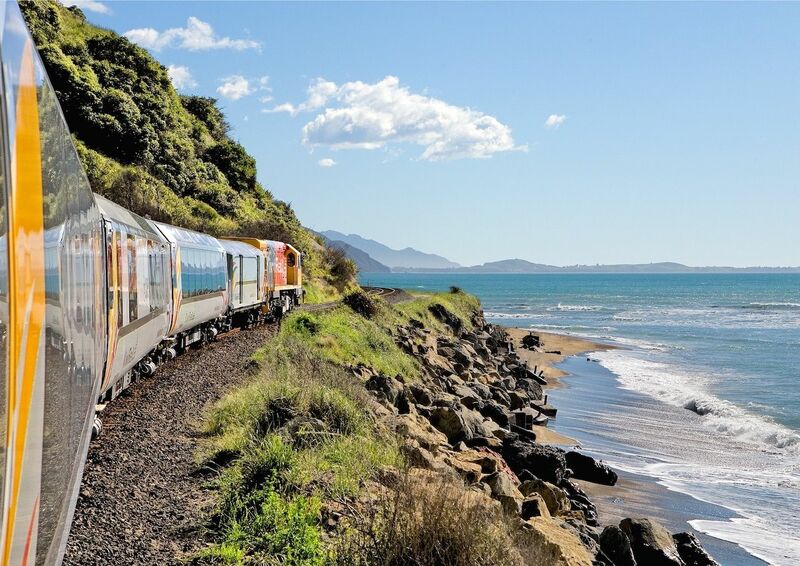 The scenic train journey along the Kaikōura coastline to and from Christchurch was shut down for repairs after the 2016 earthquake, but now it’s finally ready to welcome everyone aboard. The train cars feature large windows on both sides to take in the Pacific Ocean, as well as the lush countryside, and open-air viewing carriages are also available.